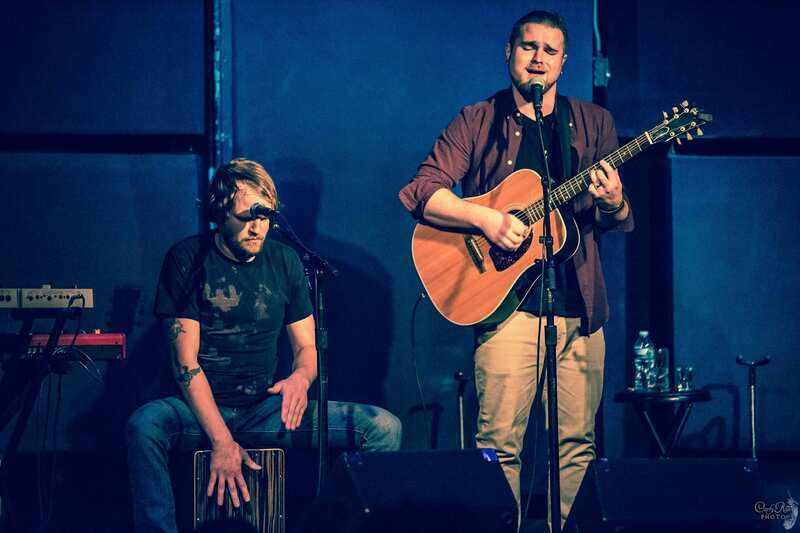 Grayson Ty is a singer-songwriter based out of Western Massachusetts whose soulful tone and meaningful lyrics have been compared to that of James Bay and Ed Sheeran. Grayson tours regularly through the northeast and in December 2016 released his debut EP Believe to a sold-out crowd at the Iron Horse in Northampton, MA. Since its release, Believe has gained regional as well as international attention with radio play and album reviews emerging everywhere from here in the states to South America and Western Europe. In 2017, Grayson had the pleasure of sharing the stage with several notable acts including Heather Maloney (Signature Sounds), Crystal Bowersox (American Idol runner-up) and Nick Fradiani (American Idol winner). Grayson will be touring the east coast in June 2018. Grayson works alongside his good friend and bandmate, Jeff Lynch. When performing, they are able to captivate their listeners through their seamless harmonies, soothing melodies and musical craftsmanship. The two are able to manifest an environment in which the connection between performer and audience is both organic and meaningful. Be sure to check out their music on all major music platforms.